As we come towards the end of the year, I am going to be reflecting on the state of mobile comics and the changes we have had over the last twelve months. I will be looking atÂ distributors,Â contributorsÂ and publishers. 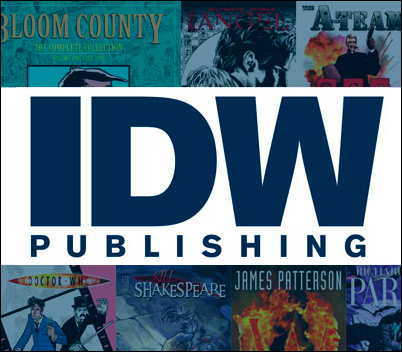 IDW’s strength lies with the licences it owns – Transformers, GI Joe, True Blood and Star Trek to name a few – these make an easy draw for people to get involved and then read other titles, such as the awesome Kill Shakespeare. They also have released apps which allow you to subscribe to a certain title – ensuring that you don’t miss an issue! With a strong leadership and a dedicated fanbase IDW are onto strong things. I have spoken to their team before and find them to be forward thinking and willing to take risks and try new ideas – I hope this continues into 2011!